My rabbit mated yesterday and since then it looks like she has not touched any of her food, is this normal? I'm wondering as like me when I was pregnant I went off my food, could this be the same or should I be worried and take her to the vets?? please help! I don't think your rabbit's behaviour is necessarily normal, but it's not time to panic, yet. It could be she's just not hungry. 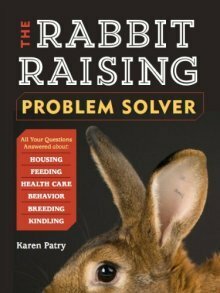 Take a look at the Rabbit Breeding page for helpful tips during the rabbit gestation period (find it through the main Breeding Rabbits page on the navigation bar to the left. Hope this helps. Keep us posted, okay? My white New Zealand male rabbit has not eaten anything since five days ago when it mated, apparently for the first time. It drinks only water and will not touch food. Hmm, could it be he sustained an injury, possibly a bite to his privates, during mating? Your rabbit needs the expert opinion of a rabbit-savvy veterinarian ASAP. My female rabbit is not eating she is approximately 14 days since we let her mate she quit eating about three days ago she does drink and lays in the corner of her cage. She doesn't come out even if you leave the door open. Could she possibly have a tubal pregnancy never seen her act like this with her other 2 pregnancy. Should I take her to the vet? Peggy, yes, take her to the vet. I'm concerned that your doe may have a digestive problem on top of a possible pregnancy, and if this is not corrected (or whatever it is that the vet diagnoses - I am not a vet), that you could lose the doe and her kits. In the meantime, try removing her food and giving her just hay or straw to eat, along with plenty of water. This might get her back to eating, if indeed the problem is digestive in nature. Plus, you could tempt her with carrot greens or fresh parsley (always pesticide-free/organic). Good luck with everything! If after breeding doe from one to three days,you may see her urine reddish, or watching at her food. No need for you to panic, she will soon start eating from 5days after breeding. I'd say it could be several things. It could be from the stress of breeding her, could even be that her hormones are out of whack right now and she just isn't hungry. If you are that worried about her not eating, get some Quaker Old Fashioned oatmeal and give her some. If she eats it I wouldn't worry she just isn't hungry more than likely. But not if she doesn't eat for days. Then I'd start to worry.